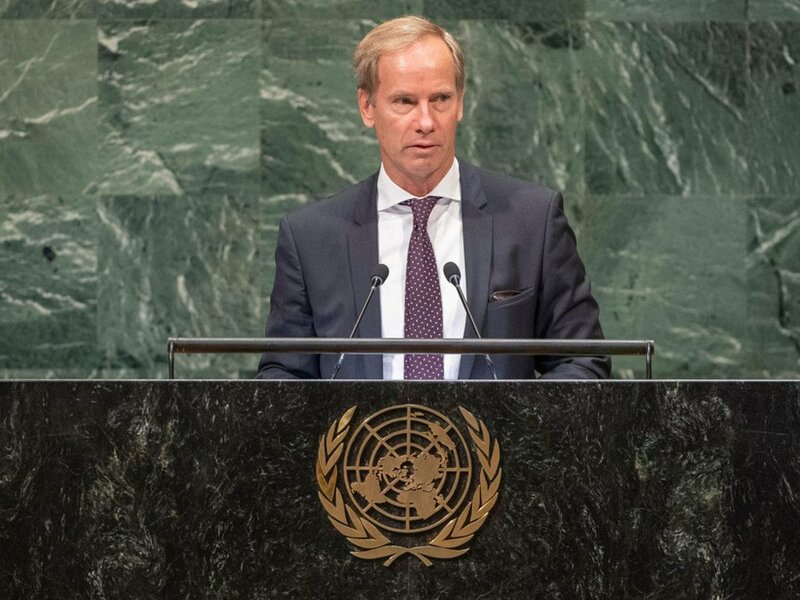 Olof Skoog, Chair of Delegation and Permanent Representative of Sweden to the UN, addresses the seventy-third session of the United Nations General Assembly. Addressing the United Nations General Assembly, the Swedish head of delegation underscored the importance of international cooperation and called on world leaders to work together to deliver on the promise of peace and prosperity for everyone everywhere. “As [former Secretary-General] Kofi Annan once said, ‘We don’t need any more promises. 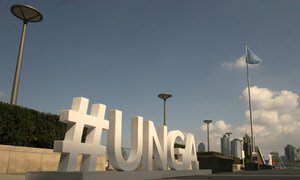 We need to start keeping the promises we have already made’,” Olof Skoog, the chair of Sweden’s delegation, said as the UN Assembly wrapped up its annual general debate on Monday. In his address, Mr. Skoog highlighted the priorities of his country’s presence at the Security Council, including its insistence on diplomacy and political solutions to address entrenched conflicts. In addition, Sweden introduced an “all-inclusive” approach to peace, he continued, including by analysing evolving risks, such as climate change and the risk of famine, and that it will continue to demand women’s participation in peace processes and negotiations. He also applauded “courageous and selfless” humanitarians, who are working to protect civilians and provide them with assistance in complex ongoing conflicts worldwide. Highlighting the need for UN assistance to implement the 2030 Agenda, he welcomed efforts reforms initiated by the Secretary-General, to make the Organization more “fit for purpose”. Mr. Skoog also recalled the commitments made under the Paris Agreement on Climate Change and drew attention to the “alarmingly large” gap between commitments and the required emissions reductions. Concluding his address, the chair of the Swedish delegation called on the international community to show the added value of international cooperation to overcome these challenges and deliver on the promise of peace, defending human rights and driving economic and social progress for women and men everywhere. “International cooperation, and a well-functioning multilateralism at its core, is the best tool we have. So, let us be the generation that acted on our promises – not just as independent States, but as United Nations,” he said.